Nissan Kicks is expected to be priced between Rs 10 to Rs 15 lakh. The new SUV will share platform and powertrains with Nissan Terrano and alliance partner Renault's Duster. Japanese carmaker Nissan in a bid to turn around sales in India. showcased India-spec Kicks compact SUV in October. 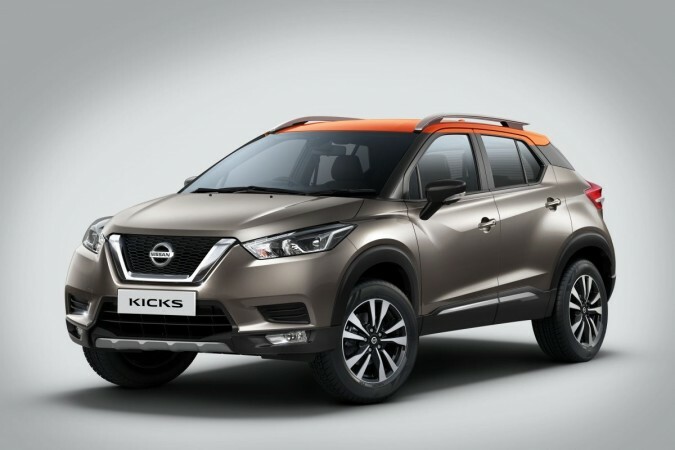 Nissan Motor India Pvt Ltd now confirmed that it will launch the Kicks in January 2019. 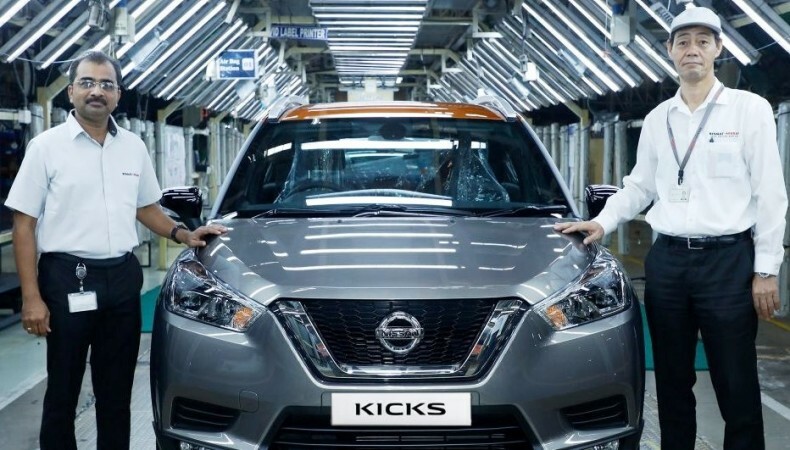 Ahead of the imminent launch, Nissan India has started the production of Kicks at Chennai plant on December 6 (Thursday). Nissan India has also revealed some more information about the Kicks with the announcement of production. The Kicks is apparently built with a GRAPHENE (Gravity-philic Energy Absorption) body structure, enabling it to absorb impact energy, making it safer for agile movement on Indian roads. 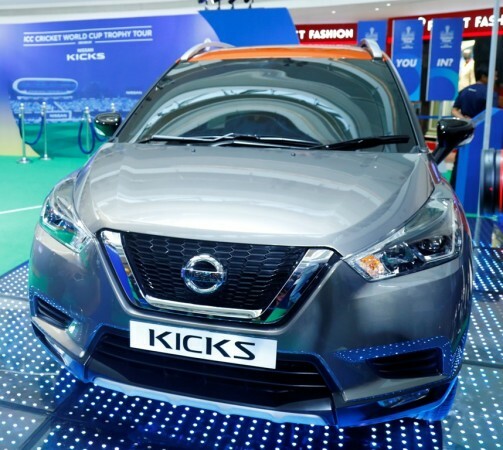 Nissan claims the robust style of the Kicks is underlined by a Dynamic Sonic Plus line, Wheel-oriented Stance and a Distinctive 3-dimensional presence. Nissan Kicks is not an all-new vehicle exclusively for India. The SUV has been an online sale in several global markets while India-spec Kicks features some changes. The global-spec Kicks is based on the V-Platform while the India-spec Kicks will underpin that currently being used for Renault Duster and Captur SUVs. The M0 platform is one of the most successful platforms globally for the Renault-Nissan alliance. It is a low-cost platform and that makes it ideal for a price sensitive market like India. 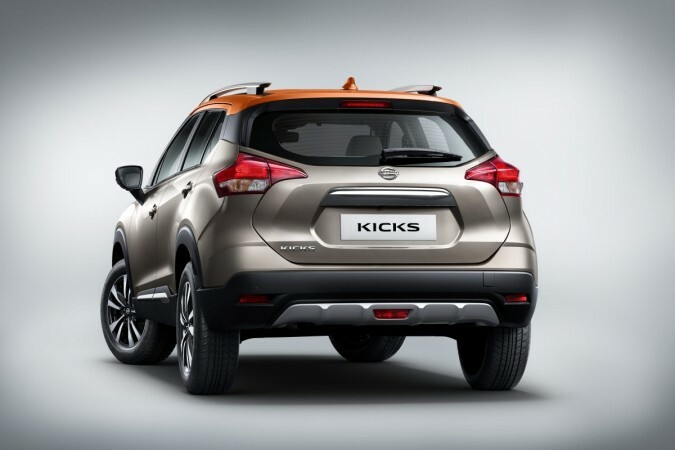 India-spec Nissan Kicks measures 4,384 mm in length, 1,813 mm in width, and 1,656 mm in height making it bigger than the international-spec model in terms of dimensions. The India-spec Kicks also has a longer wheelbase (2,673mm) and ground clearance of 210mm. In the first glance, it is not easy to identify the India and international-spec Kicks as both look almost identical. A closer inspection will reveal the India-spec model comes with a slightly tweaked front bumper with a pair of faux air inlets above the fog lights and an aluminum skid plate. In line with international-spec Kicks, the Indian model also gets V-motion front grille, large sweptback headlamps and boomerang-shaped LED daytime running lamps and others. The floating roof design created by blacked out pillars with roof rail, shark fin antenna, front fog lamps, ORVM with turn indicators and 17-inch five spoke machined-alloy wheels are the other additions in the new Kicks. Nissan is tightlipped about the powertrain while it believed to share Nissan the 106bhp, 1.6-liter petrol, and 110bhp, 1.5 diesel engines with the Terrano. Upon the launch of the Kicks, Nissan India may also pull the plug at slow-selling Terrano. Nissan India expected to price the Kicks between Rs 10 to Rs 15 lakh (ex-showroom).